Hotel Geminis Majorca Mallorca in Ciutadella Menorca. This Hotel Accommodation with swimming pool in Majorca Mallorca, has a swimming pool. Prices from 30 EUR. Welcome to the Hotel Geminis Majorca Mallorca.Situated in the capital of Minorca, Ciutadella, this hotel is just a short walk from the harbour and has an outdoor swimming pool, where you can spend the day relaxing and soaking up the sun. For more on this Hotel Accommodation with swimming pool in Majorca Mallorca please click on the availability buttons above and below. 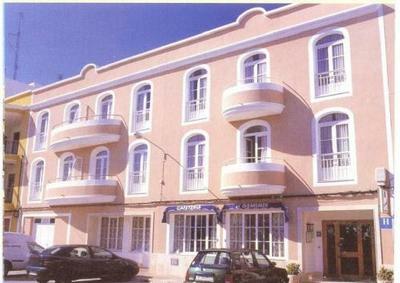 The Hotel Geminis provides excellent Hotel Accommodation in Ciutadella Menorca, Majorca Mallorca, Spain. The address is Josepa Rossinyol, 4, Ciudadela, 7760.